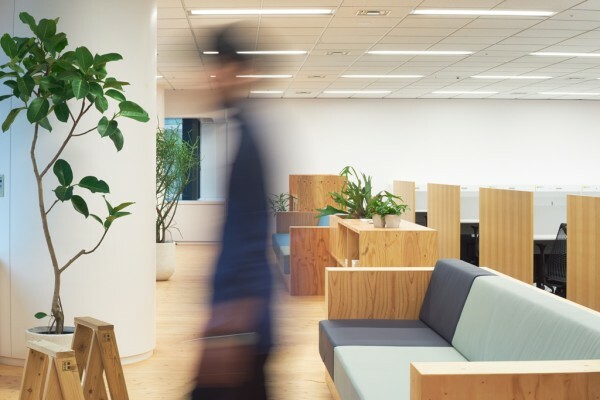 We performed the interior design for the office of HAROiD, a television and Internet service provider, located in the mid-section of a high-rise building in Shiodome, Tokyo. 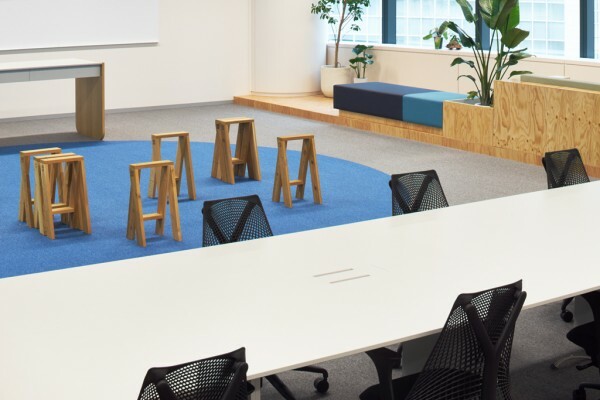 Thus, we strived to establish the identity of this space as the office of a company embarking on a new business venture. 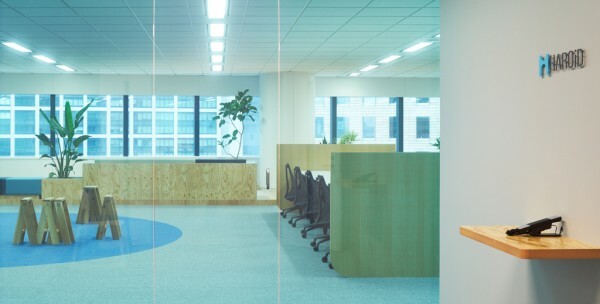 The division of space presents a common passage running parallel to the glass-walled entrance and meeting room areas, a work area and a wooden strip used as a free space. 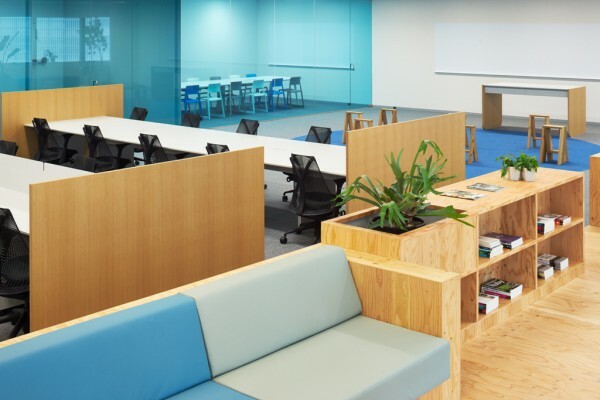 Moreover, by applying a blue film, which is the corporate color of the company, to the glass walls, we provided a demarcation between the meeting and work areas while retaining a feeling of openness. 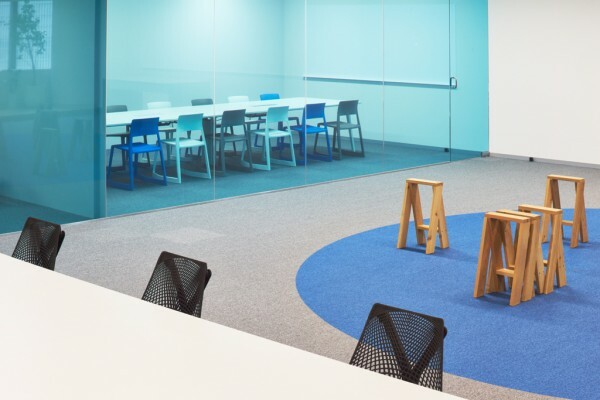 The open space zone, which can be used to conduct events or lectures, proudly features the company's circular logo on the floor together with AA stools and a white board spanning the length of the wall at the back. 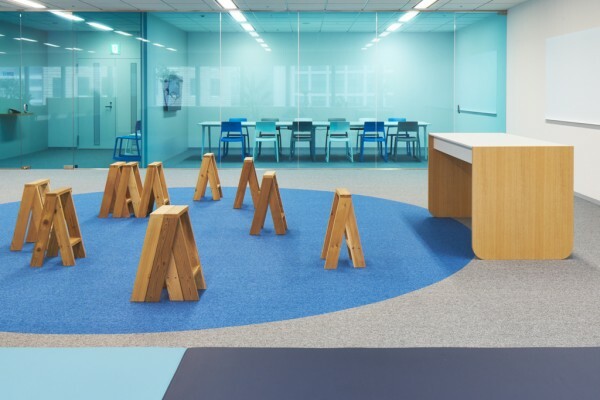 The work desks also feature large curves found at the bottom of the side panels, inspired by the corporate logo. 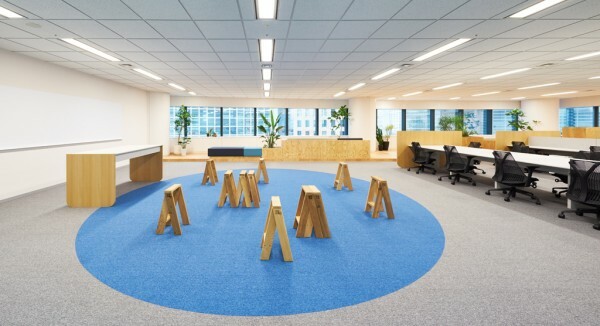 Located along on the window side is a stage made of Japanese larch plywood serving as a free space that offers the best view. 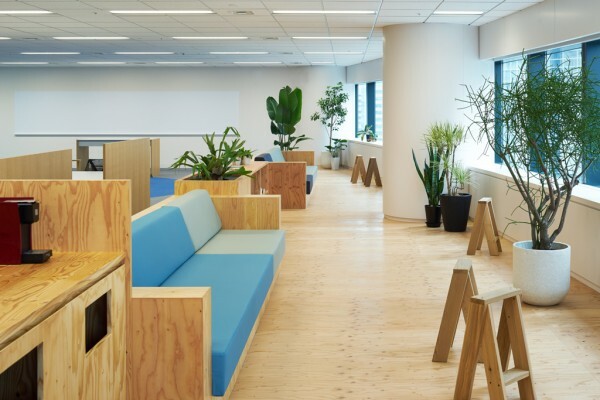 There, the same material was used to build a counter offering refreshments, a bookshelf, a planter box and sofas, which create a soft boundary with the rest of the office. Furthermore, plants of various sizes and ample seating contribute to give the strip a lounge-like atmosphere.